COMMENT: Germany to Decide if It Can Nationalize Private Property. The difference between National Socialism (NS/NAZI) and International Socialism (INS) exactly are five letters and their definition according to that they do is pretty the same. But don´t worry about international investors. They got the real estate really cheap along with some gifts to the old parties and the will make a big deal if they are forced to sell. The next game will be a break down in prices and extreme lack of money, so the INS will sell again the huge real estate complexes the own and the game repeats. That´s the way corporatism works. The real problems will have the middle class. they will pay for that and they will lose the real estate more or less directly to the newly imported elites when there will be a critical mass, maybe by a loss of worth or by direct occupation. Means the minority of those Nazi days will be the more and more decimated majority of the German population. What can be better for bad and incompetent EU-/German politics as people being alimented by the government and besides they are not understanding neither language nor what really happens? 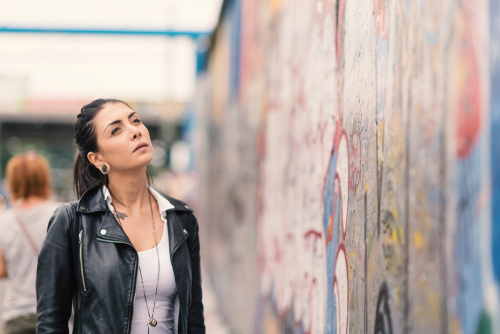 REPLY: East Germany did not treat the people fairly. Most other places allowed you to buy the property in which you lived. In East Germany, the politicians sold it thanks to corruption. But the problem that emerges is you now have to change the law to allow for the confiscation of property. That establishes a precedent which can be applied to any property. The legal way to do this is to attack the owner on the basis of corruption and fraud rather than changing the law to confiscate private property. This proposal is stating that the state will then own the property, and it still does not allow the people to purchase where they live. Could Raising Taxes Save Government? [Analyst} recently …. 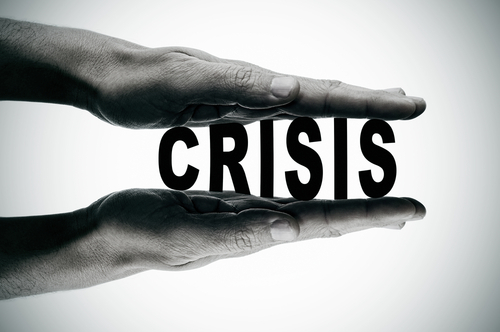 raise[d] the alarm that the US is headed towards a very bad debt crisis. During an interesting part of the segment, he was asked if the rich should pay higher taxes, and he said “of course”, but he clarifies that what really matters is whether the tax dollars are deployed productively or not. I was wondering if you agree with his assertion that the US needs to raise taxes on the wealthy. And also, whether you think it is possible for the US government to redistribute wealth productively to address the upcoming crisis. ANSWER: Absolutely not. The person you speak of, in my opinion, is completely unfamiliar with history. That proposition assumes the government can actually do anything correctly. There is absolutely no evidence of that whatsoever in the historical records going back thousands of years. I do not care how much they raise taxes. The pension crisis alone will wipe out government as we know it. For every person that retires, they must replace them and the cost of government doubles. A child with a pocket calculator can give you a better forecast. It is absolutely impossible for this to ever end nicely. The system is not sustainable. 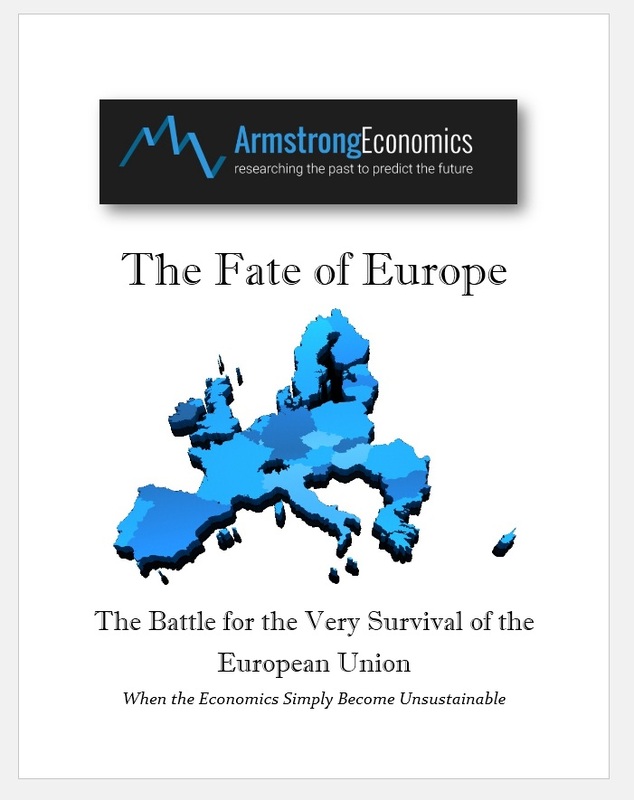 QUESTION: Mr. Armstrong; I believe you said at the WEC in 2017 that central banks will diversify and increase their gold reserves going into the currency crisis coming in 2021. China has continued to increase its gold reserves. You would please update on that development. ANSWER: Central banks are in a very difficult position. The ECB has really put the entire world at risk. Draghi is now realizing that negative interest rates have seriously harmed the European economy and led to a major growing liquidity crisis in European banking. 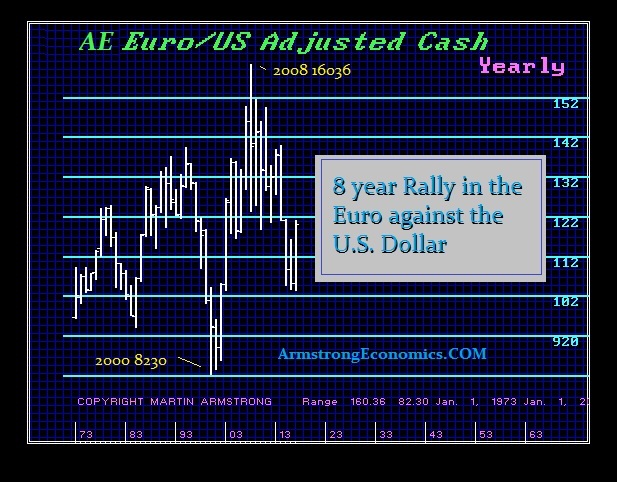 The euro is regarded as a time bomb for it is neither a national currency nor a stable unit of account. The failure to have consolidated the debts from the outset has simply left the euro vulnerable to separatist movements and sheer chaos. This is what has been behind the strength in the dollar. 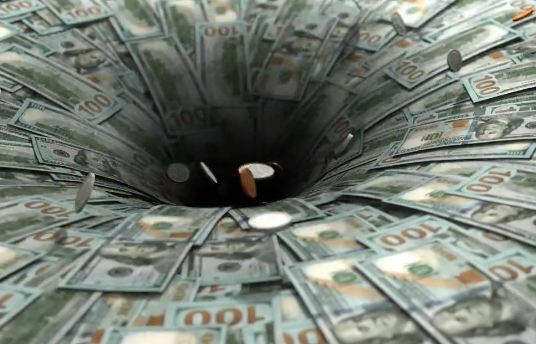 Central banks outside Europe have been caught in this dollar vortex. They have been selling dollars and buying gold in an effort to stem the advance of the dollar. China also has a debt problem with many provinces and companies who borrowed in dollars. Here in 2019, there is $1.2 trillion in Chinese dollar borrowings that must be rolled over. There is a rising concern that this year there could be a major threat of a dollar funding crunch. The total debt issued in US dollars outside the USA approached $12 trillion at the end of 2018. That is about 50% of the US national debt. The forex risk is huge, no less the interest rate risk on top of that. The more crises we see in Europe, the greater the pressure on the dollar to rise regardless of the Fed trying to stop capital inflows by delaying raising rates. China has added to its gold reserves in a desperate attempt to try to keep the dollar down, which also has an inverse trade problem as the yuan declines. At the end of January, China’s gold holdings stood at 59.94m ounces, which was up from 59.56m a month earlier, according to figures released by the People’s Bank of China. Of course, the gold bugs think this is because China hates the dollar and sees the world returning to a gold standard. In reality, none of that is true. China is smart enough that they are trying to keep the yuan from crashing against the dollar, but by selling the dollar they also do not want to buy euros or Japanese yen. With the chaos of BREXIT, the neutral political place is gold. Over the past year, central banks emerged as big buyers of gold with purchases up almost 75% as the private institutional market ignores gold and retail trade has shrunk. The main buyers have been Russia, Turkey, and Kazakhstan who all shifted their reserves away from the US dollar for political reasons in 2018, amounting to $27bn worth of bullion. I used to help the Arabs buy gold and lease it out to circumvent their religious laws against earning interest. Leasing gold was effectively the interest rate but it was trading commodities and thus did not violate their religion. With the Japanese, to reduce the trade crisis, I instructed them to buy gold in New York and export it to London to be resold. It did not matter what they bought in the USA; as long as it was exported it reduced the trade surplus. The same tactic is in play here with China, but they have been accumulating gold to reduce the trade surplus. It is a neutral trade within their reserves that avoids problem currencies. China is now the world’s biggest consumer and producer of gold. China only begun to buy gold again, which is also supporting its mining industry as the US did during the 19th century with silver. Prior to December 2018, the last time China bought gold was back in 2016. 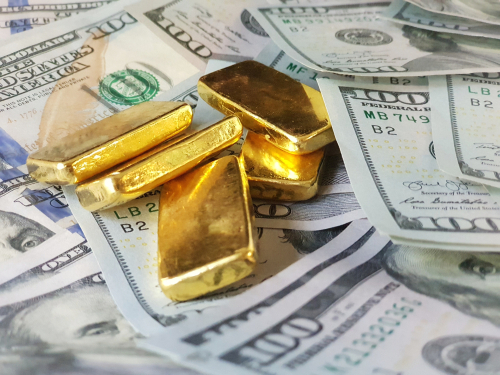 Nevertheless, as geopolitical tensions rise pointing toward world war, we should expect the former Soviet Union region to continue accumulating gold and avoiding the dollar. The Democrats seem to be increasing the tensions all to remove Trump from office. Tensions between the US and China are nowhere near as bad as they are with Russia. China is strategically moving to develop their own consumer economy. They realize that what made the US dollar the reserve currency was not a force of arms, but the domestic consumer market. Japan and Germany rose from the ashes after World War II using the mercantilist model designed to build things to sell to Americans. China realized that is a dead-end and they have turned inward to develop their own consumer market to replace the United States. In Italy, Deputy Prime Minister Matteo Salvini has raised the possibility of taking control of Italy’s sizeable gold reserves away from the country’s central bank. 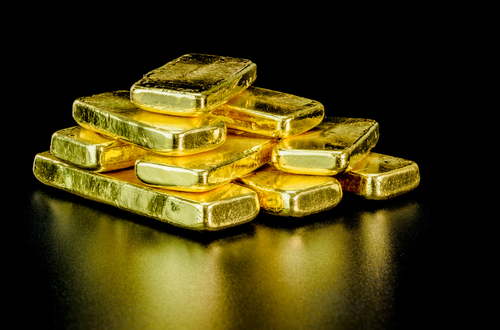 The Bank of Italy has the third-largest central bank holding of gold reserves in the world after the US and Germany, owning 2,452 tonnes at the end of 2018. This is also reflective of the tensions with the entire dictatorial approach of Brussels. Brussels tried to create a central government, but one that refuses to accept responsibility for member state’s debts. That conflict is why the euro will never be ready to compete on the world stage of currencies in a serious manner. 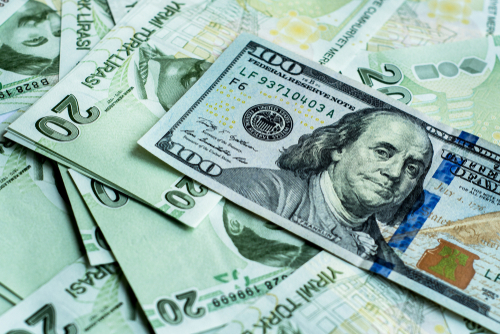 The Treasury and Finance Ministry of Turkey announced that the country’s net external debt stock totaled $286.2 billion going into the end of the 3rd quarter of 2018. The country’s net external debt stock to its gross domestic product (GDP) ratio was 34.4% at the end of the third quarter of 2018. However, Turkey’s gross external debt stock amounted to $448.4 billion at the end of the 3rd quarter, bringing the debt/GDP ratio to 53.8% according to the official figures. Interestingly, because of the fear of the Turkish lira, Turkish corporations have been often compelled to borrow in dollars. Therefore, the private sector’s share in the country’s gross external debt stock was 68.2% ($305.9 billion), while some $215.9 billion of this amount consisted of long-term debts with a maturity of more than one year. The Turkish public sector’s share of this debt was 30.6% in the country’s total foreign debt, which is about $21.4 billion in short-term (under one year) with $115.7 billion in the long-term (over one year). The banking sector’s (lenders and the central bank) external debt stock was $176.99 billion at the end of the 3rd quarter. When we break this down further, 58.5% of the total gross external debt is denominated in U.S. dollars with only 32.3% denominated in euros. The amount denominated in Turkish lira among the external debt stock was a trifling 5.9%. This illustrates the crisis that will emerge with a change in the currency values. There has been a real crisis evolving in Berlin. When the Wall came crashing down, East Germany regarded that it owned all the property and thus sold vast tracts of apartments to major investors. Now 20 years later, the socialists are claiming this is not fair and the government should either buy the property back from these investors or confiscate it. There are many people on the left and in the Green Party who see nothing wrong with confiscating private property. Why should they pay for something they cannot afford to buy? Under their reasoning, there is some human right that should allow them to go into a car dealership and drive away with what they want because it is unfair that they cannot afford to buy it. 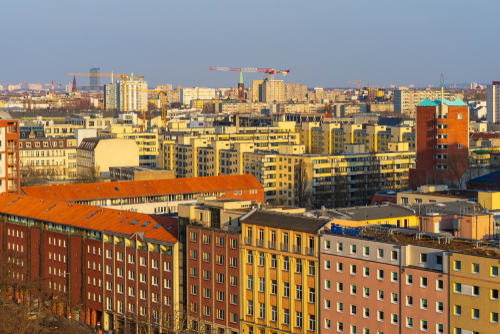 Berlin has been toying with the idea of holding a referendum on banning big landlords and expropriating their homes into social housing. This is part of a response to growing complaints in the German capital about the cost of living. The expropriated homes will be some 200,000 units that would then become government property, once again, and could be rented out for below market rates. The danger of allowing private property to be seized without compensation is that it will be devastating for Germany and Europe as a whole. Real property is critical to confidence. If the state can even allow a referendum where the majority of people will be handed the property of the minority, this is really a return to the days of the Nazis. They could not borrow funds on the open market so they targeted the Jews and expropriated all their property. Of course, in those days they killed them. Today, they won’t kill the investors. They will just take all their wealth. It seems that allowing referendums to retroactively change the law is very dangerous. If anyone wants to know why the euro could collapse to new historical lows, put this one into your thinking cap and ask if you want to invest in something that can be arbitrarily confiscated. QUESTION: I believe back at your 1985 WEC, if I remember correctly, besides the 2016 target for the first opportunity for a third party type president, you also gave the date 2021 for the potential breakup of the Treaty of Rome. Could you refresh my memory on that one? ANSWER: There were two dates for Europe. Economically, the first date was 2008. 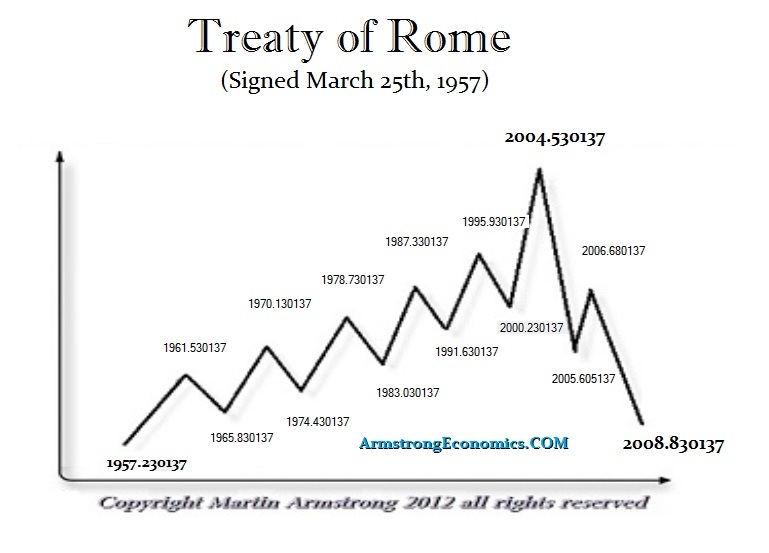 That was the end of a 51.6-year cycle from the signing of the Treaty of Rome. The second date is 2020.03, which is two Pi cycles of 31.4 years. 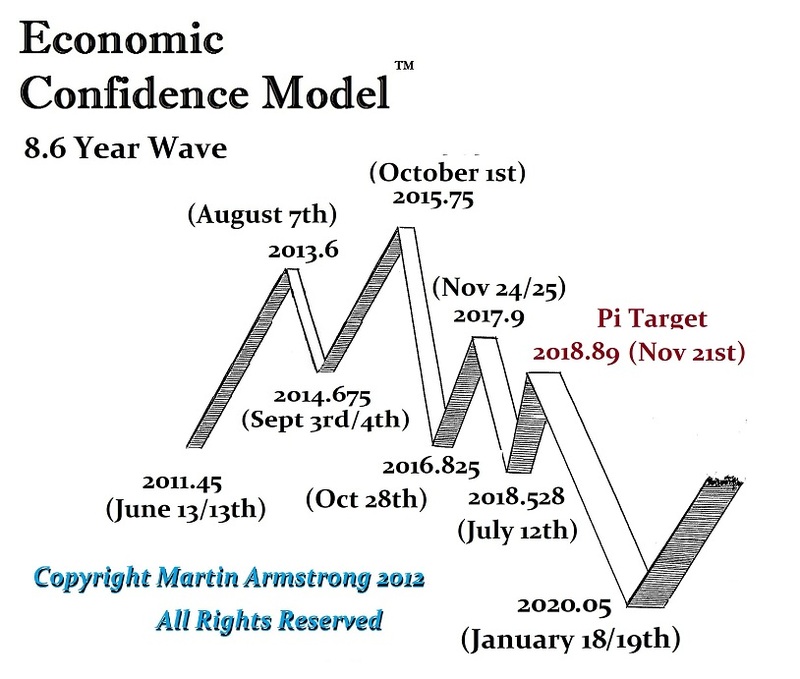 Now 2020.03 lines up with the end of this particular Economic Confidence Wave that turns 2020.05. We are reaching an extremely important change in trend. You can see the pressure and all that is at stake for the EU itself has set up a site it pretends to be a Fact Checker. This is indicative of the rising tensions. Then we have total insanity with BREXIT where Prime Minister Theresa May is really working for the EU against her own country. The postponement of BREXIT until October 21st is on the table. May hopes that it will come down to accepting whatever terms the EU demands. She hopes Britain will surrender all sovereignty to Brussels or accept a hard exit, which she thinks everyone would reject. She believes the choice will be a hard exit. She is pitching it as the end of the world or remain and overrule the people and democracy. In all the years I have worked around the world with various governments and political figures, I have never seen the entire world in such total chaos. Historically, there was always some bright spot where the sun still shined. Today, it just seems to be gray and overcast everywhere we look. We seem to be on track to fulfill our manifest destiny whichever direction that will be — toward liberty or totalitarianism. There seems to be little other option. It will take us all to push for liberty when the time comes. There have been discoveries of Roman coins in Japan as well as in North America. There has even been the discovery of a Roman sword in Newfoundland. Now, a treasure hunter with a metal detector uncovered seven Roman coins that washed up on a beach here in the Tampa region. This is strong evidence that there must have been a Roman shipwreck off the coast of Tampa or in nearby proximity. 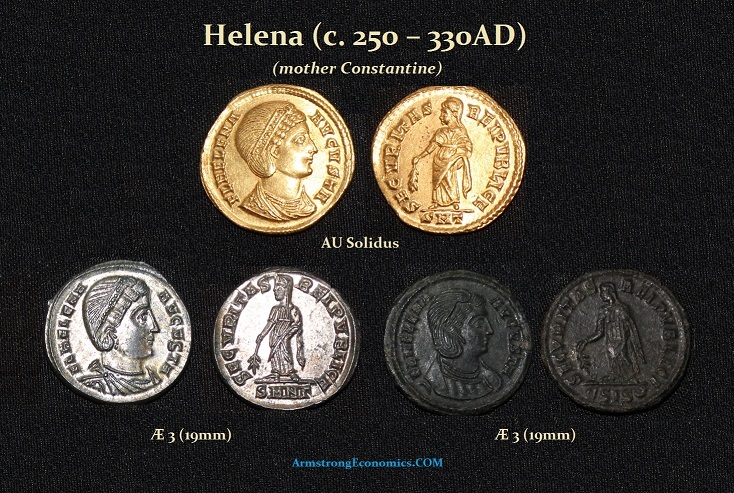 These coins are of the 4th century from the era of Constantine. They are bronze and of no particular rarity. In such a condition, they are really worthless. Nevertheless, there certainly seems to have been Roman ships that crossed the Atlantic long before even the Vikings, no less Columbus. There are accounts that the Roman Emperor Marcus Aurelius sent diplomats to China around 180 AD. There are no written records from Rome, but there are written records from China confirming that meeting and even a recording of the name of the Roman emperor. There are no documents that confirm Romans traveling across the Atlantic, yet there is evidence that they were indeed here in North America. This raises the possibility that these were one-way trips, perhaps from a ship caught in a storm and set on its path to America. In your blog Posts you write that you expect that we will have a hard landing going into 2020. My question is: What does that mean for the Dow? Do you expect the dow to correct into 2020 more that 20%. ANSWER: The hard landing is economic and will have its greatest impact outside the USA. While central banks have sold US Treasuries in an attempt to keep the dollar down, the private sector has been pouring assets into the USA and particularly the Dow. Our capital flows have tracked a significant shift in global capital flows into the USA especially from Europe. That should come as no surprise given the chaos in BREXIT as well as the May elections. We still do not see a major correction in the Dow. We have been undergoing a shift from public to private assets on a global scale. Therefore, the hard landing will be more economically based and central banks will try to do something, as in lowering rates, but they have run out of bullets. The Fed has tried to back off on rates after buying into the problem of a hard landing outside the USA. The ECB has been on its hands and knees, pleading with the Fed not to raise rates when they will have to continue their QE programs or face sovereign debt defaults. What are your thoughts on preferred shares? Especially the ones with good quality DBRS ratings. Will they survive the downturn or will they fail? ANSWER: Ordinary and preference shares are a claim on corporate earnings and assets. 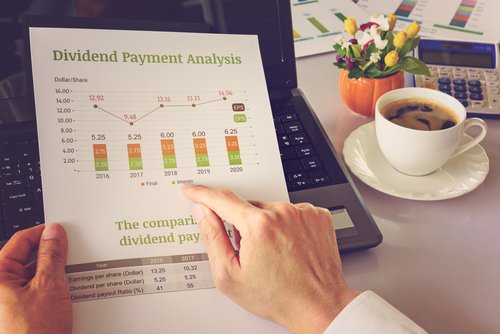 Dividends for ordinary shares may be irregular and indefinite, whereas preference shareholders will receive a fixed dividend which will accrue usually if the payments are not made in one term. Ordinary shareholders are in a riskier position than preference shareholders since they are the last to receive their share in the event of liquidation. That may not be a concern in a blue chip company. Nevertheless, they also are open to the possibility of a higher dividend during times when the firm is doing well in contrast to preferred shared with fixed income. Preferred shares can be looked upon as a hybrid debt where you have a claim on the assets, but like a loan, it has a fixed rate. Ownership of preference shares offers advantages and disadvantages. On one hand, it provides a higher claim on earnings, assets, and fixed dividends. On the other, it limits voting rights and the possibility for growth in dividends in times when the company is financially sound. QUESTION: Mr. Armstrong; you were friends with Milton Friedman. Do you agree with his view that the Great Depression was caused in part by the Fed refusing to expand the money supply? Isn’t Quantitative Easing expanding the money supply yet it too has failed to create inflation. Would you comment on this paradox? Thank you for your thoughtful insight. ANSWER: Yes, this certainly appears to be a paradox. This results from the outdated theory of economics which completely fails to grasp the full scope of the economy and how it functions. This same mistake is leading many down the path of MMT (Modern Monetary Theory) which assumes we can just print without end and Quantitative Easing proves there will be no inflation. They are ignoring the clash between fiscal policy carried out by the government and monetary policy in the hand of the central banks. This is a major confrontation where central banks have expanded the money supply to “stimulate” inflation. 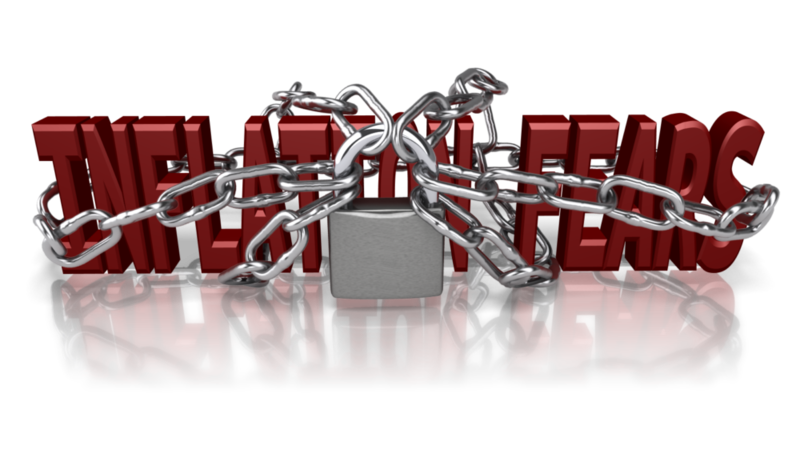 Governments are obsessed with enforcing laws against tax evasion and it is destroying the world economy and creating massive deflation. In 1920, Britain legislated a return to the gold standard at the prewar parity to take effect at the end of a five-year period. That took place in 1925. Britain based its decision in part on the assumption that gold flows to the United States would raise price levels in Britain and limit the domestic deflation needed to reestablish the pre-war parity. In fact, the United States sterilized gold inflows to prevent a rise in domestic prices. In the 1920s, the Federal Reserve held almost twice the amount of gold required to back its note issue. Britain then had to deflate to return to gold at the pre-war parity. Milton saw that the Fed failed to monetize the gold inflows, fearing it would lead to inflation. So what we had back then was the opposite roles. This predates income tax being applied to everyone so there was no hunt for taxes on the part of the government. The scale was tipped because the Fed was imposing deflation by sterilizing the gold inflows. Conversely, following World War I, France had counted unrealistically on German reparations to balance its budget. When they did not materialize, it used inflation as a tax to finance expenditures. In 1926, France pulled back from the brink of hyperinflation. Unlike Britain, France’s inflation had put the old parity hopelessly out of reach. Consequently, France returned to gold but at a parity which undervalued the franc. Fearing inflation, France sterilized its gold inflows to prevent a rise in prices declining to monetize the gold. Therefore, all the theories behind MMT are once again wrong for they are only looking at one side of the equation. Today, simply stashing money in a safe deposit box is illegal and considered to be money laundering. The government can justify itself in confiscating your assets even after you paid your taxes. Therefore, in the ’30s, Milton’s criticism of the Fed was justified because there was no massive hunt for taxes from the fiscal side. Today, we have the fiscal policies hunting capital resulting in a contraction economically (declining in investment) while you have QE just funding the government – not the private sector. It is a different set of circumstances today v 1930s. Don’t Brand Democrats ‘Socialist’: Does GOP Field-Test FAIL Call for New Strategy? Notre Dame Burns: A Picture of the Fate of Western Civilization?